Most of us can only wish we had this kind of basic training when we were young, but our parents never taught us. We try to do our best, but professional advice could go a long way towards helping us teach them the merits of fiscal management early, become better Fathers in this regard and help us work successfully towards raising healthier, more financially secure children as they become adults and take on financial responsibilities of their own. Born in Bombay, India, Dr. Prakash Dheeriya earned his PhD in Finance from the University of North Texas after earning both his Master’s in Management Studies and his Bachelor’s of Commerce from the University of Bombay. He has been an Assistant Professor of Finance at the University of Tennessee at Martin and an Associate Professor of Finance at the Illinois State University. He also served as the chair for the Department of Finance/QMS at California State University- Dominquez Hills from 2000-2002. Dr. Dheeriya is the father of two young sons, ages five and six, and did not want them to experience the same financial crisis that plagues us today. He believes that if children are taught financial principles early in life and encouraged to apply these principles, then another crisis can be prevented. Dr. Dheeriya wants to educate children in the financial jungle that they are deposited into, usually with little to no prior knowledge. 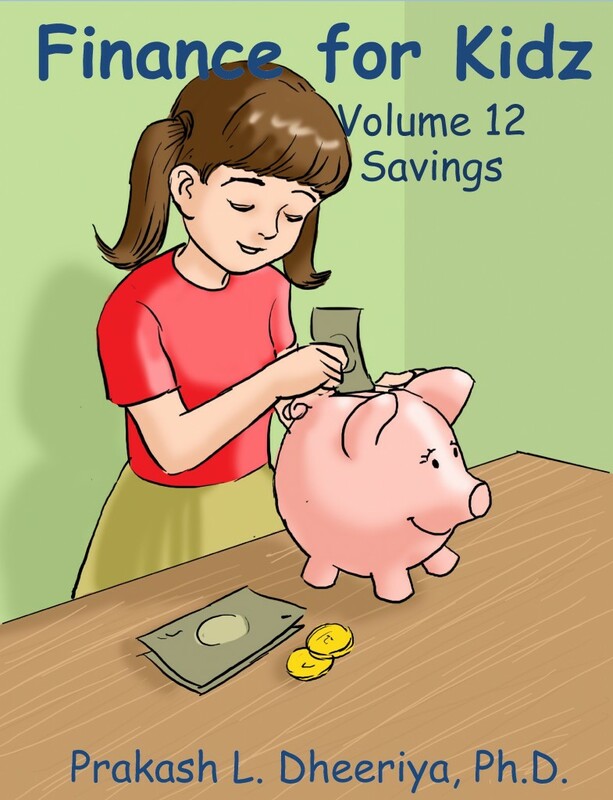 His 20-book children’s series, Finance for Kidz, teaches key financial concepts told through stories depicting a child’s everyday experiences with no math, technical jargon or equations. Each book includes an interactive portion to help engage the parent and child in a discussion of the principle they just learned, helping reinforce the concept as well as facilitate quality time between child and parent. Dr. Dheeriya is currently a professor of finance at California State University- Dominguez Hills living in Rancho Palos Verdes, California with his wife and two boys. We are very fortunate to have him on board as our own personal finance training guide and mentor to help us teach our kids all about money. Tune in to these pages for everything you need to set your kids up for success. For more information about Prakash and his series of children’s books, please visit his Finance4Kidz website. Ask and Win with HeadsUp Dad! Please post your comments or ask your questions about finance training for kids here. Prakash will be happy to engage. The first 100 questions we receive as comments on this blog will be put into a draw and the winner will receive a copy of one of his books, courtesy of all of us here at HeadsUp Dad!